Have you considered purchasing Potomac Falls Real Estate? Potomac Falls is a great neighborhood in the 20165 Zip Code & Sterling. In essence, Potomac Falls in the area on the west side of Route 7 of the Sterling area. There are some great properties that line the streets off of the main road Algonkian Parkway. I love the area off of Algonkian Parkway, I think it is the hidden in Loudoun County. It has great access to Route 7 and the Tysons Corner area, its a simple ride to downtown DC, great golf courses with Trump National and Algonkian Golf right in the neighborhood. Because of its great location, great schools, great family neighborhood - Potomac Falls is really a great place to purchase a home because of its great value. 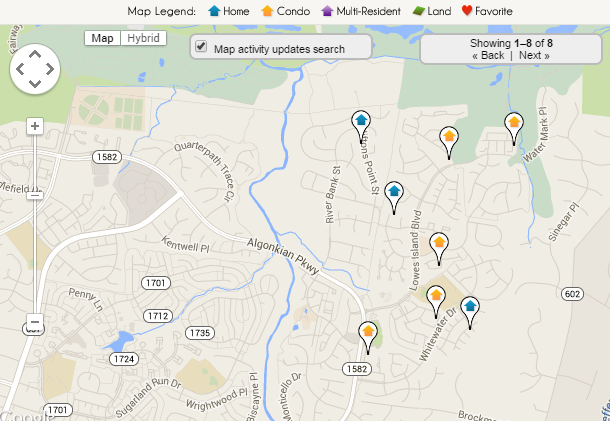 Click the map below to start searching for homes in Potomac Falls.